Welcome to Cottage Craft Works! Factory replacement parts to fit Heller Aller Iron Hand Pitcher Pump 21P. 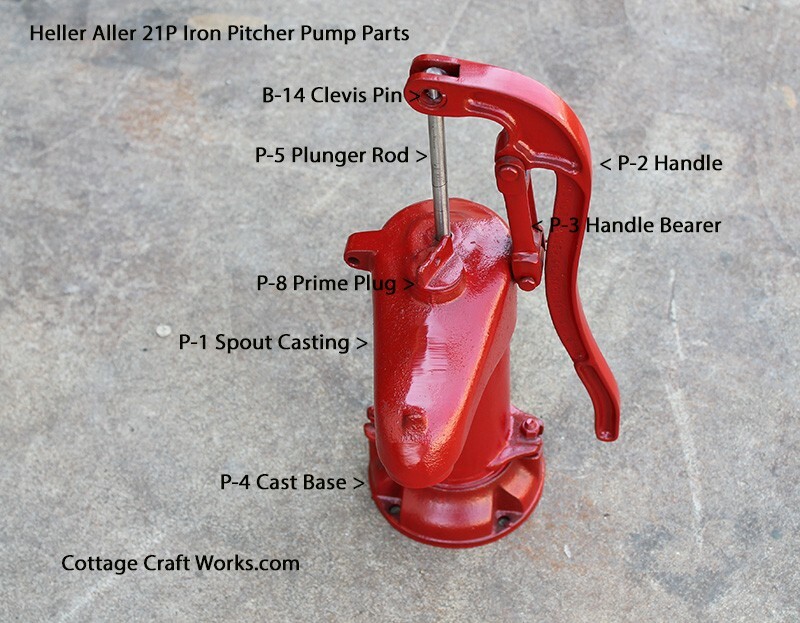 Priced per pump part needed. Make the selections using the drop down boxes to select the parts that you need. 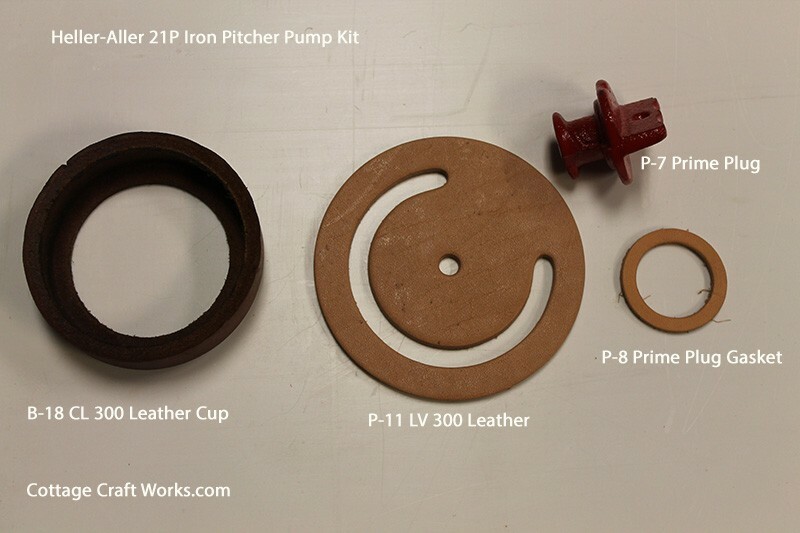 CCW-04 Pump Leather Kit includes the LV 300 leather, CL 300 leather, P-8 Prime Plug Gasket and the P-7 Prime Plug. T-5 Valve weight is pictured with the leather for visual placement. The weight will not come with the leather. 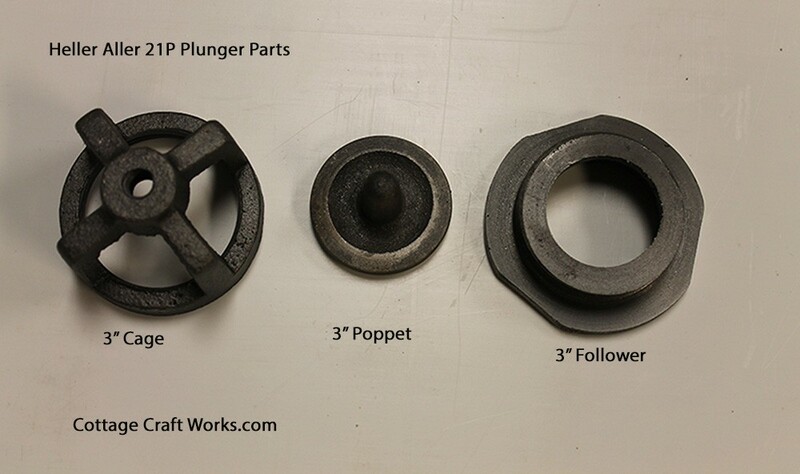 Complete plunger with rod P-6 comes with 3" Cage, Follower, Poppet, CL 300 Cup Leather and Rod. 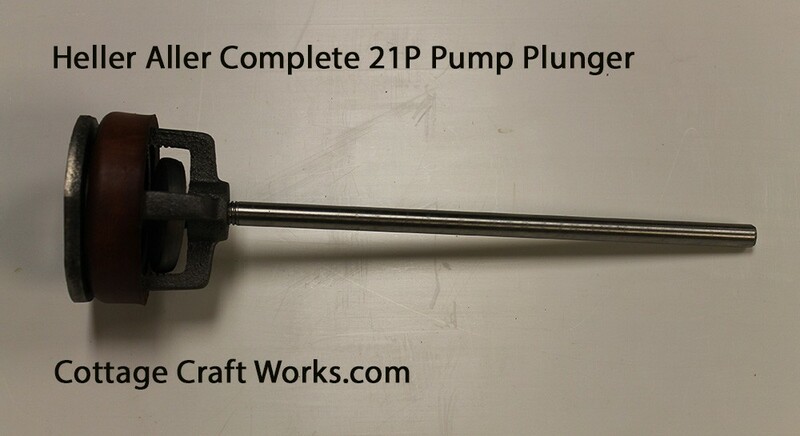 Since the plunger comes with the CL 300 Cup Leather you may also order the plunger with the LV 300, P-8 Prime Plug gasket and P-7 Prime Plug to completely rebuild the pump without ordering another leather kit. Use the drop-down box for the complete plunger. To assemble the cup leather the follower will need to be unscrewed from the cage assembly. Turn the unit upside down and secure the cage in a vise being careful to not tighten enough to crack the cage. Use a large wrench on the flat sides of the follower. 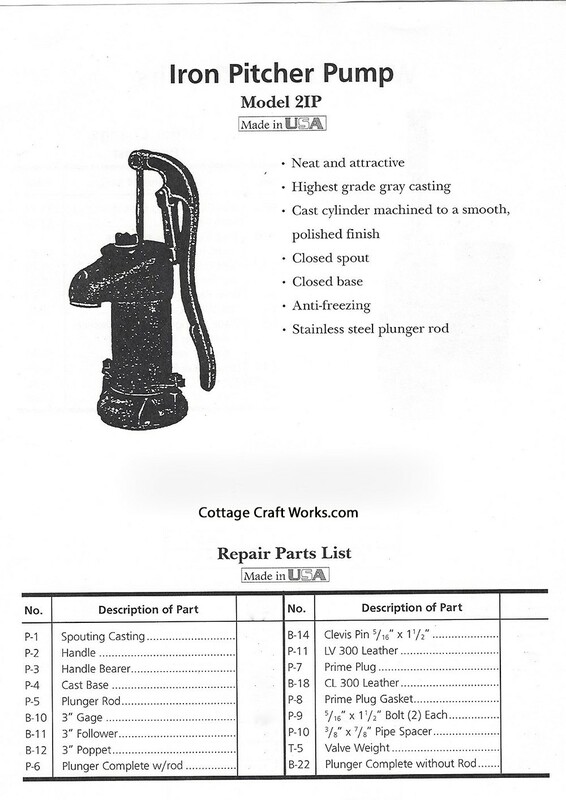 To purchase the complete Heller Aller 21P Economy Iron pump Click Here. Note: If the product has any options with * Required Field(s) in the drop-down box options above they must be selected to obtain a shipping estimate. Note: Use the shipping estimator at checkout if other products are already in the shopping cart. This single product estimator will no longer provide a correct combined shipping estimate with other items. © Cottage Craft Works. All Rights Reserved.